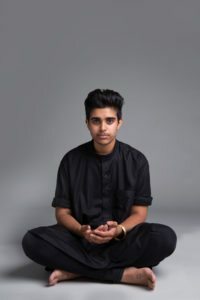 Sabah is a British-Pakistani activist who describes themselves as ‘queer, trans and brown’, and feels that they are somewhere between male and female. Sabah feels only at the start of being able to call themselves a Muslim again, and are trying to bring Islam back into their identity in a way that feels authentic. “My strongest relationship is with myself, in terms of listening to myself and giving myself time to come back to faith. I think that has been the hardest part of my identity to come back to. Out of gender, race and sexuality, it has been faith that’s been the toughest. It’s a struggle. It’s never going to be simple and easy. I’m always going to be questioning it. When I understood that, it did feel peaceful.